Many questions sent in to the site are in connection with motor starting and in particular star-delta. 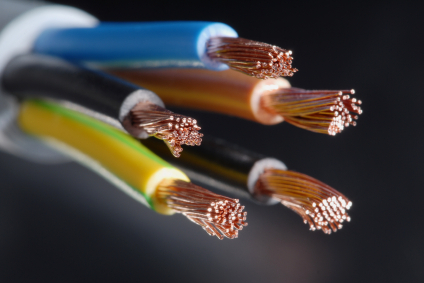 For all but the simplest application, there is merit in performing a more detailed study.&... read more..
IEC 60287 "Calculation of the continuous current rating of cables (100% load factor)" is the International Standard which defines the procedures and equations to be used in determining the ... read more.. Exposure to time varying magnetic fields, from power frequencies to the gigahertz range can have harmful consequences. A lot of research has been conducted into identifying these effects and de... read more.. The image (reproduced from IEC 60909) shows a typical fault in an ac system. From the illustration it can seen that there is an initial dc component (id.c.). This initial dc compo... read more.. Induction motors are frequently used in both industrial and domestic applications. Within the induction motor, an electrical current in the rotor is induced by a varying magnetic field in the s... read more.. Photovoltaic (PV) cells (sometimes called solar cells) convert solar energy into electrical energy. Every year more and more PV systems are installed. With this growing application, it's ... read more.. Traditionally generation of electricity has involved rotating machines to produce alternating sinusoidal voltage and current (a.c. systems). With the development of power electronics during the last ... read more.. 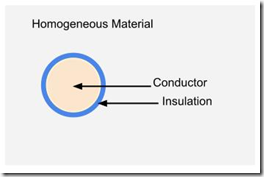 This is the first of two posts on the resistance of conductors. In the next post I will look at the ac resistance, including skin effect and we deal with this. To get started, this post will look at the... read more.. 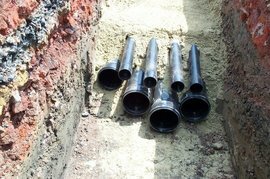 Some colleagues had an issue earlier in the week on sizing conduits to be cast in concrete for some power cables . It became clear that none of us had a clear idea on an approved method. In the end w... read more.. The correct sizing of current transformers is required to ensure satisfactory operation of measuring instruments and protection relays. Several methods exist to size current transformers. This note will... read more..
Electrical engineering has a multitude of laws and theorems. It is fair to say the Ohm's Law is one of the more widely known; it not the most known. 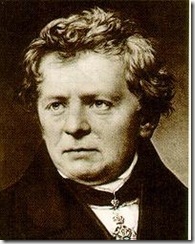 Developed in 1827 by Georg Ohm the law defines the re... read more.. Alternating current (a.c.) is the backbone of modern electrical power distribution. In this article I’ll be pulling some of the more important concepts together. It is a work in progress and I’ll be add... read more..